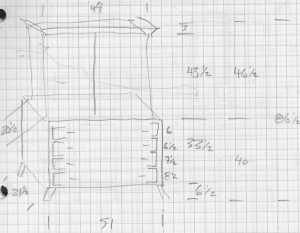 An early sketch of one corner of the tool cabinet. I’ve decided to build a tool cabinet. Hi. 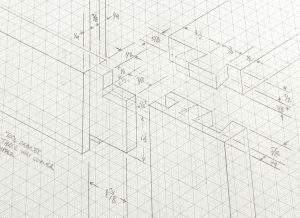 I’m Richard, this article will be the first in a series that follows the construction of a tool cabinet. My tool cabinet. 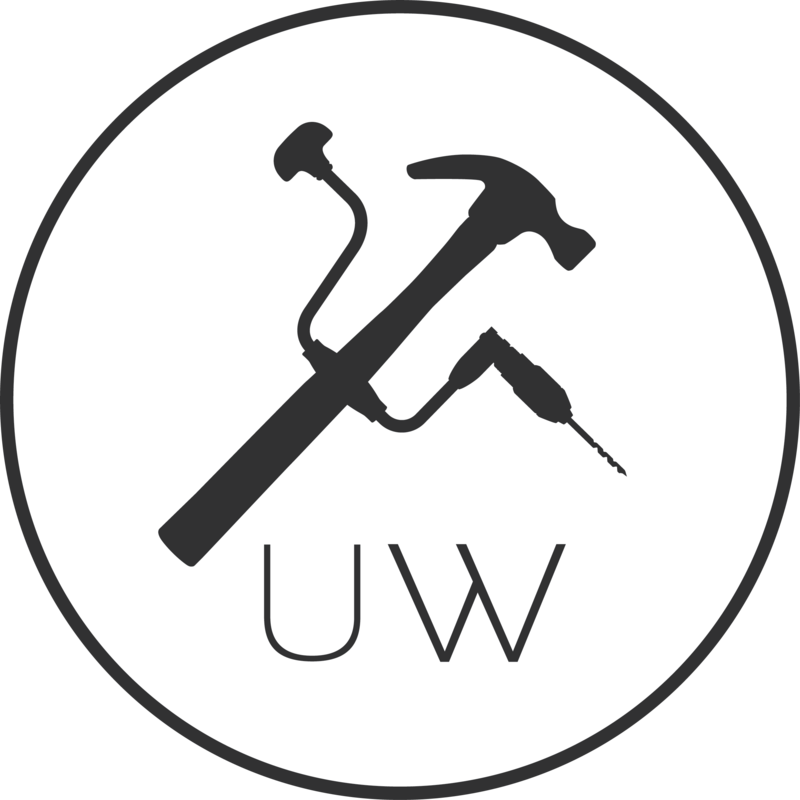 As I learn more about woodworking, and as I better-learn where my place is within the woodworking world, I’m acquiring a few more woodworking tools. 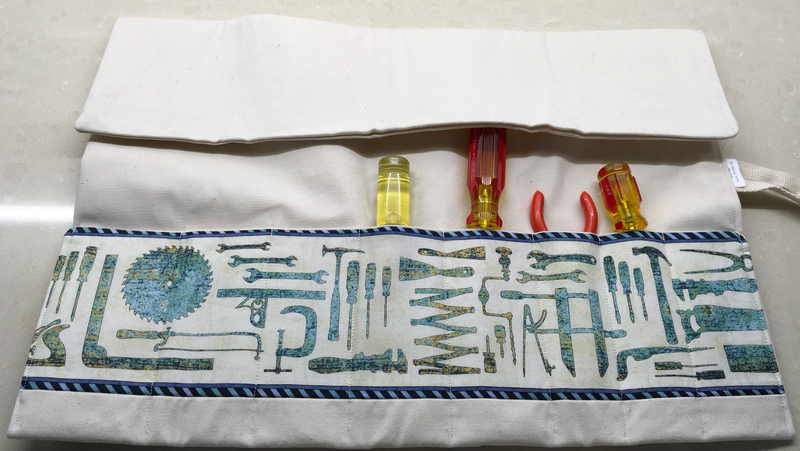 When I had a few chisels, a square, and a marking knife, this could all be managed with a tool roll. 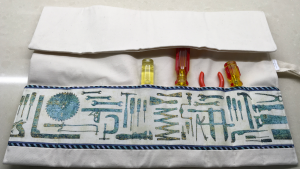 As I build speciality tools, like a beam compass, and a panel gauge, and as I acquire additional measuring and marking tools, like a combination square and compass, I have outgrown a tool roll. And a small footlocker. And a storage shelf. And. Well, let’s just not even mention those few bits of interesting lumber that I’m saving, and that I will certainly use Real Soon Now! Now I want to have a place for my tools that is a little better organized. Why build a tool cabinet, rather than a tool chest? I like the idea of a tool chest, like the Dutch tool chest design. 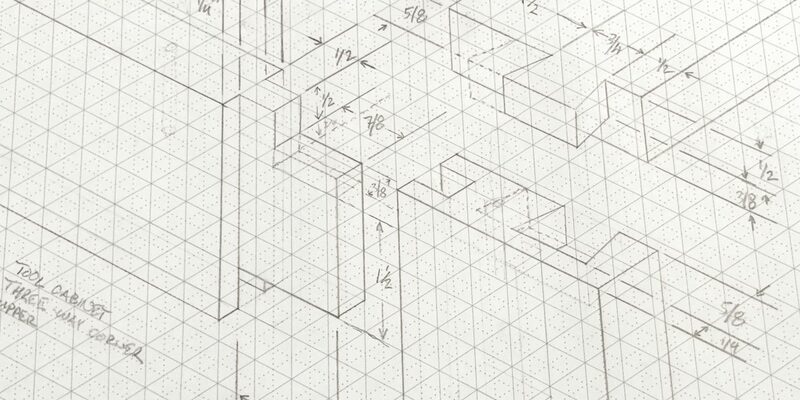 The compact use of space, with multiple layers of densely packed tools, appeals to me. On the other hand, having to move multiple layers of densely packed tools to find the one I currently require, does not appeal to me. A tool cabinet, might consume the same amount of floor space as a tool chest. Yet a tool cabinet can extend much taller than a tool chest, and make better use of the space above where a tool chest might end. Tom’s tool cabinet – Especially, the aforementioned tool storage doors. Fabulous. Justin’s tool cabinet – That wonderful saw till that he included on the inside. And the gorgeous walnut panels on the doors. 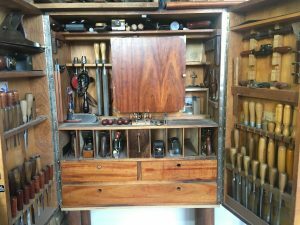 Andy Rae’s tool cabinet – Well. Oh my goodness. There is a reason that Mr. Rae’s cabinet is the cover photo on so many woodworking books. It’s beautiful. 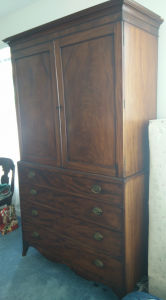 Family furniture – There is a linen press that has been in my family for as long as I can remember. It’s an imposing, and serious bit of lumber. Here are some dimensions from the linen press. 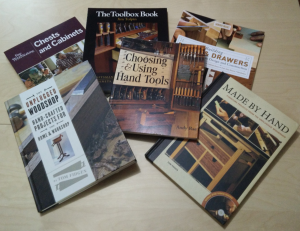 Woodworking books – So many books! Especially, Tom Fidgen, Andy Rae, Jim Tolpin, and Paul Sellers. 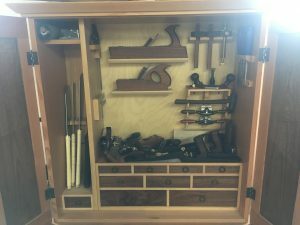 Internet woodworkers – I’ve enjoyed several video tours of tool cabinets. Those of Rob Cosman, Shannon Rogers, and Marty Backe have left an impression. I’ll have more to say about the tool cabinet project as it continues. I hope to write articles about the design details, and about the cut list and lumber. 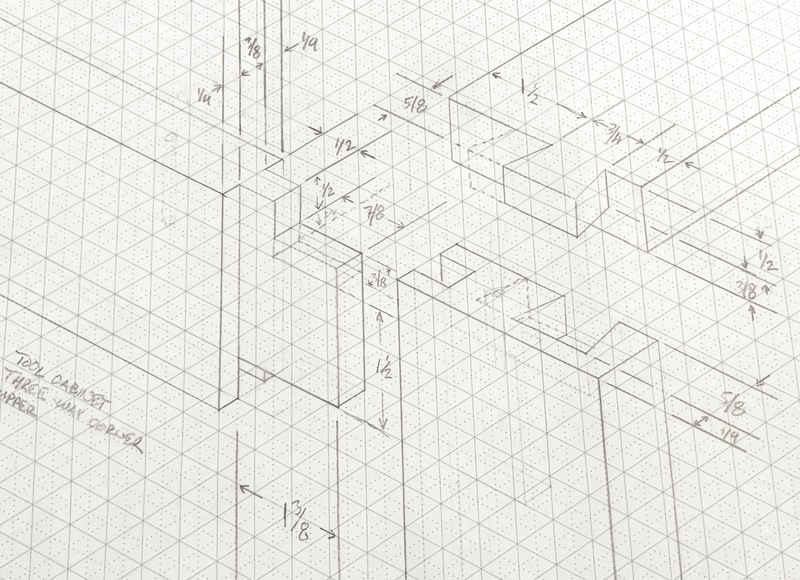 I’ll document the building, assembly, and fitting-out as I accomplish those tasks. Thanks for joining me on this project. See you soon. The Cabinet Project is still “On” and it is also currently “on hold”. My family and I have moved to a new country, and so my tools, etc. are in a container, on a ship. So it’s difficult for me to make progress at the moment. I’m super excited to get back to the tool cabinet, And I’m super excited to see how we manage to get that content into An Unplugged Life. Perhaps we’ll get Tom to fly in to visit my new digs.